Hair thinning and hair loss affects a lot of men. What may be surprising is the amount of women who lose their hair. It's believed that up to 13% of women lose some amount of hair in their lifestime - pre and post menopause being the most common time to lose it. Some research has shown that 75% of women over the age of 65 will be affected. Beware of the myths that circulate around the reasons for hair loss (like dying, washing or combing your hair too often). Hair thinning or loss in women is different to a receding hairline or bald spot in men. One cause can be the condition called androgenetic alopecia which is a general thinning of hair, another is alopecia areata. This second condition is an autoimmune disease that affects about 2% of people (So Organic's founder Sam once had it though is ‘absolutely fine now!'). Attacked by white blood cells the hair follicles shrink and hair production slows. It's not as bad as it sounds and there are treatments (as Sam's healthy head of long brown locks is testament to). 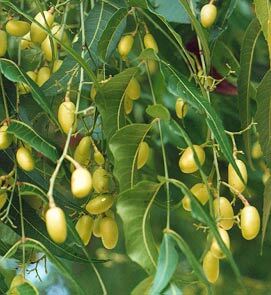 Azadiracta Indica commonly known as Neem is a tree in the mahogany family. It's place in the treatment of hair loss comes when it's leaves are extracted from neem leaves. 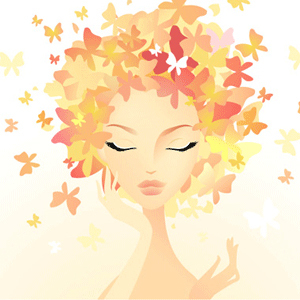 Neem oil can encourage new hair growth as well as help combat premature graying. Applying direct to the scalp or in the form of a shampoo are the most common ways to use the oil. For an intensive treatment leave the oil in hair all night. Neem is also great at relieving dry and itch scalps, dandruff and scalp psoriasis. An added bonus is it leaves hair silky and strong. Dr.Hauschka make both a Neem Hair Oil and Neem Hair Lotion. Neem won't necessarily ‘cure' hair loss but it will help slow the process, encourage some new growth and keep the overall health of the hair in good condition.